Great food, always amazing quality (as always)! The service was quick and the waiter was wonderful. We tried the rose sangria, which was lovely. Food, drink, atmosphere was great. Our final bill had to be corrected twice after we pointed out that one of the dishes was missing and we were over charged with another dish. However it was all sorted out in the end and they gave us extra discount. I would say though that if mistakes are made which is ok, it shows the quality of a business who can rectify it quickly and to the satisfaction of the customer, which Azita did exceptionally. It was my first visit and I was impressed with the portion sizes and service. I will definitely be returning! The €22 per menu taster med and eastern dishes were all overcooked. Sea food was burnt, fish pieces dry and chewy. The chunks of meat were charred and blackened on some sides that the black bits were inedible. The service was good and starters very good. Great service and as always the food was excellent! We had a fabulous evening, great food and wine and friendly helpful service from two lovely waiters. I have a severe allergy and Seth made me feel at ease and well taken care of. The atmosphere is friendly and welcoming, the only reason I gave 4 stars is because we were sat by the door which was a little chilly but next time I will know to request a different one. All round a fab evening and we will definitely be back!! We had a really good evening - lovely food and excellent service. It was a shame that some of the drinks (cocktails)  and some of the tapas on the menu you did not have. Very nice food with good service. 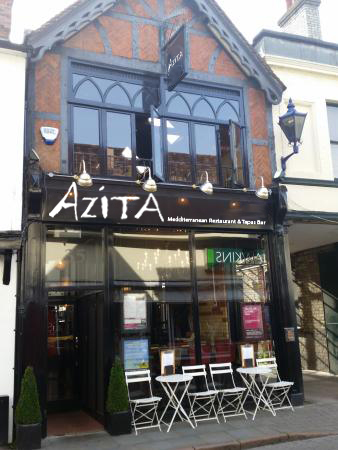 Had a lovely time at Bar Azita and will definitely be back. The food was good and with the tapas deals, it was great value for money! We are frequent visitors, with often my partner booking or we just turn up. Excellent meal as always for my partner's birthday. Good food but sat very close to other customers. Quite expensive. I love Bar Azita. 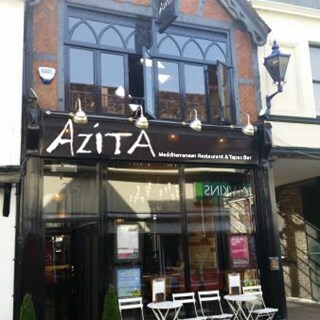 It is my favourite restaurant in Hitchin. The food is always delicious, and I’ve always found the service and atmosphere excellent.